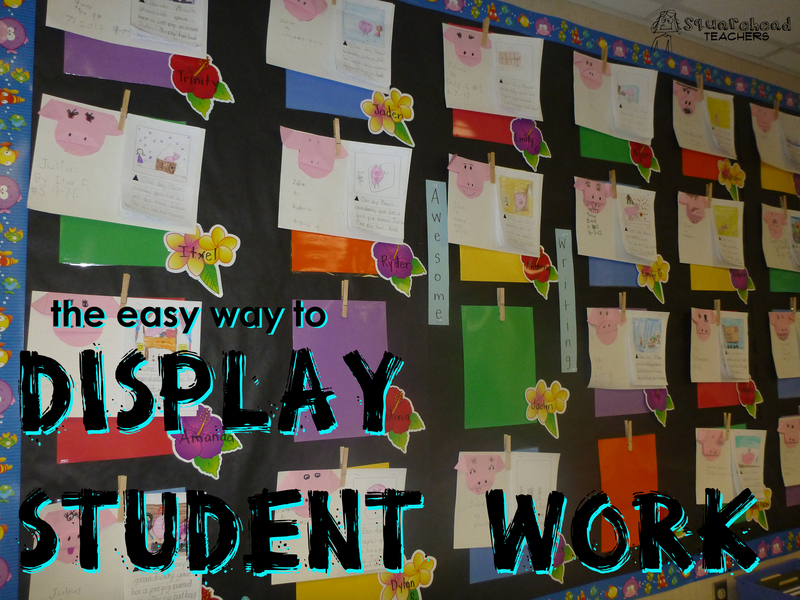 Displaying Student Work… The Easy Way! One thing I found challenging as a teacher was to constantly change the student work on display in my classroom and on the bulletin board in the hallway. The trick is to make your system quick to swap out work. There are a variety of ways to do this, but one popular way is to staple laminated construction paper to the bulletin board and clip a clothes pin to the top of the paper. This makes it super quick, and you don’t have to keep poking holes in your bulletin board with push pins. In addition, attaching names to the papers (or on the clothes pin if you’re not going to reuse them) is an easy more permanent way of identifying the creator of the displayed project. Another way I’ve seen also starts with stapling laminated construction paper to your bulletin board. However, instead of using a clothes pin to attach work, you use paper fasteners (like you see inside manila folders). Obviously, it would be easiest to attach the fasteners before you put up the paper. Again, labeling the paper with a student’s name makes it easier for you to show which projects belong to each student. In addition, at the end of the year, all you have to do is detach the entire construction paper packet and you’ve got a nice collection of student work to present to the student! (just make sure you don’t let the packets get too heavy or they might fall off the bulletin board). There are many other ways to display student work. 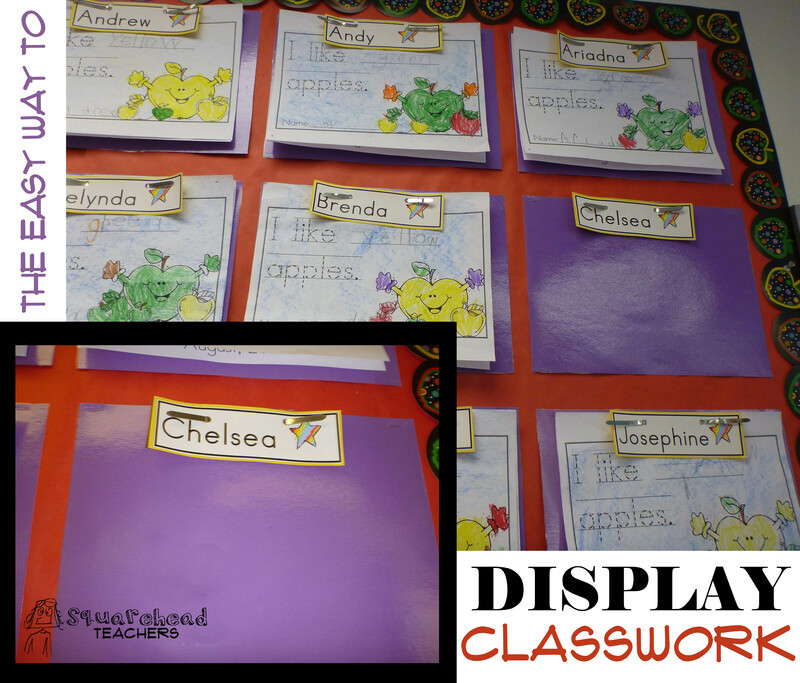 Click here to see a simple system in which your students manage their own display! This entry was posted in Bulletin Boards/Walls, Management, Organization and tagged Children, Education, Elementary School, Kids, Teacher Resources, Teachers, Teaching by Squarehead Teachers. Bookmark the permalink.